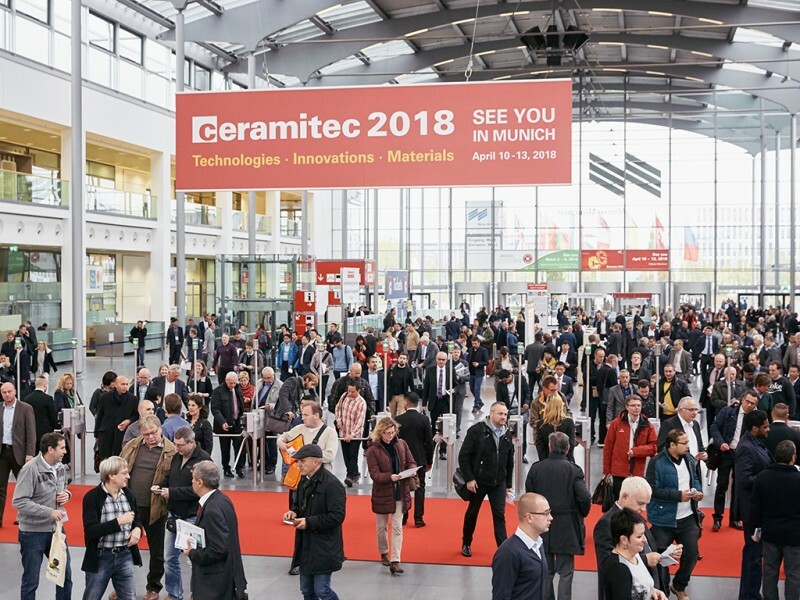 A little less than six months before ceramitec 2018 will open its gates, it is becoming noticeable that the trade show enjoys excellent popularity among exhibitors once again. It is the central event where the complete ceramics industry—ranging from the manufacturer to science—comes together. Over four days, some 600 exhibitors from around the globe will present their complete range of products and services: machinery, devices, equipment, procedures and raw materials. All segments will be represented, ranging from classic ceramics to industrial ceramics to technical ceramics and powder metallurgy. As a trade show for equipment suppliers, ceramitec is the meeting point for leading manufacturers, users and scientists. Here, they meet, exchanging views and information. This creates synergies and makes new technologies and applications from the industry, research and development known. In 2018, ceramitec will take place in the Halls A5, A6, B5 and B6 and can be reached via the East Entrance. Raw materials and additives, powder, production materials and ancillaries will be on display in Hall A6. Hall A5 will accommodate refractory materials, kiln furniture, kilns and equipment for kilns, and research. In Hall B6, visitors will find machinery, equipment and devices for fine and refractory ceramics, technical ceramics and powder metallurgy, and finally, in Hall B5, machinery, equipment and devices for heavy clay ceramics. With an exhibition space of around 20,000 square meters in four exhibition halls, ceramitec will once again be a major attraction for the trade audience of the ceramics industry. More the 15,000 participants from over 90 countries are expected to take part in the event. ceramitec’s high proportion of foreign participants impressively demonstrates the trade show’s international importance. In 2015, the event boasted more than 373 international exhibitors. Over 60 percent of the participants came from abroad, which turns ceramitec into one of the industry’s most international trade shows on the visitors’ side, too. Exhibitors and visitors particularly appreciate the wide range of products on offer, combined with the high level of internationality, because they find this mix only in Munich. Just like previous editions, ceramitec 2018 will be accompanied by a top-class conference program. The ceramitec Forum in Hall A5 constitutes the platform for knowledge and know-how transfer, for research and development. Attendance of the specialist lectures and panel discussions is free of charge. All lectures are offered with simultaneous translation in German and English. Moreover, both the trade show and the conference program will feature a number of focal topics of relevance for the future in 2018. These include technical ceramics and additive manufacturing, among others. Here, special shows, theme days, a separate lecture program and discussion panels are planned. The aim is to make ceramics and their fields of application even more visible for all representatives from the industry. 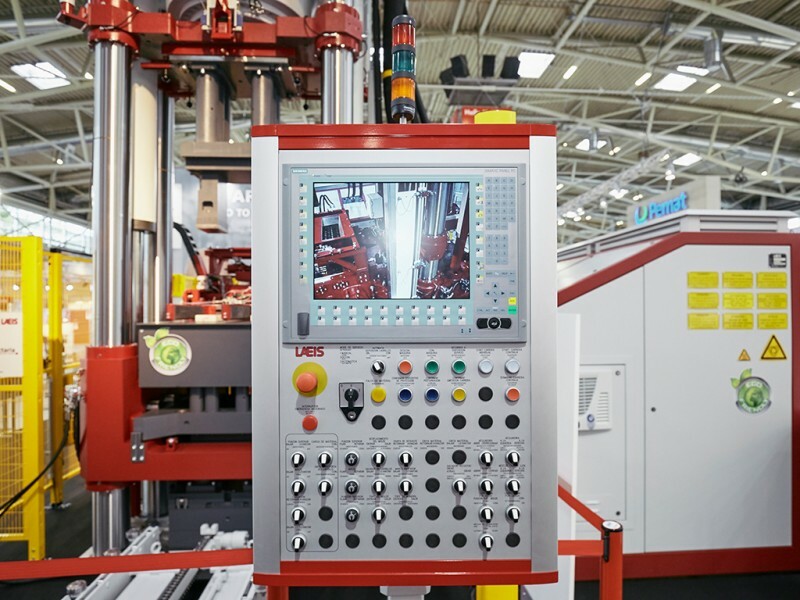 Access to a great number of industries and applications, such as the automotive industry, aerospace or medical technology is established particularly by technical ceramics and powder metallurgy. 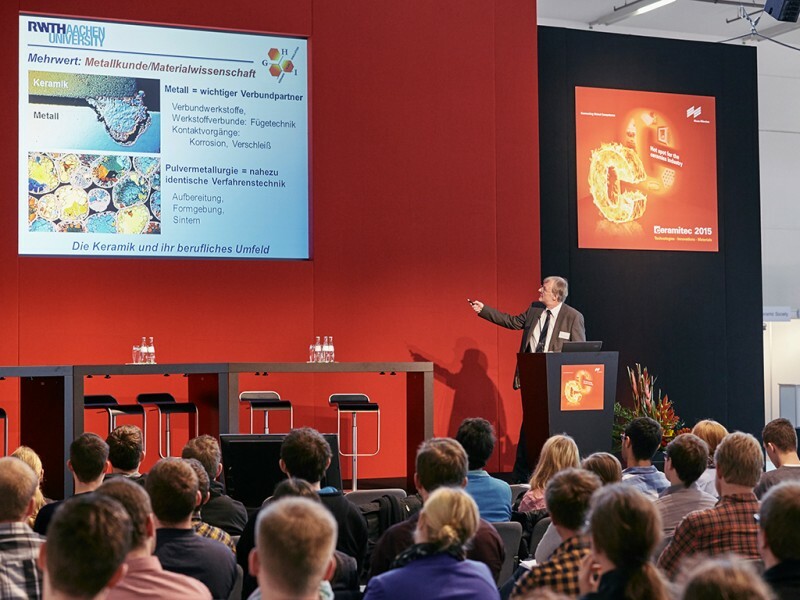 In addition, the Annual Meeting of the German Ceramics Society [Deutsche Keramische Gesellschaft – DGK] will be held parallel to the trade show for the first time ever. In the conference rooms above the exhibition halls, lectures on topics like ceramics in energy technology or Industry 4.0 are planned. Thanks to the lecture program of the DGK, it will be possible to succeed in creating a bridge between industry and science, also for the benefit of the visitors. In 2018, analytica will be held parallel to ceramitec. analytica is the world’s leading marketplace for products and services along the entire value-added chain of state-of-the-art laboratory processes. In the constellation with ceramitec, visitors of analytica have the possibility of combining their stay in Munich with a visit to ceramitec. Exhibitors of ceramitec can tap new visitor target groups and expand their business networks. In doing so, synergies arise particularly in the fields of analytics, quality control and laboratory technology.